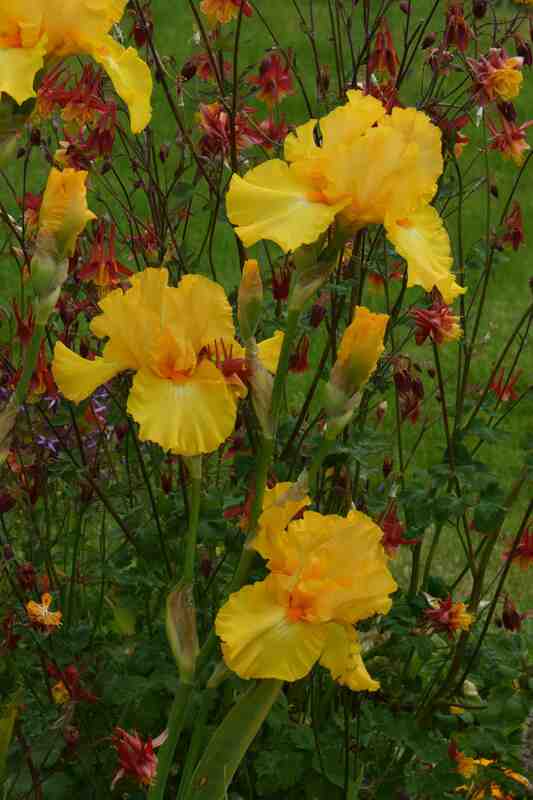 It is astonishing how far bearded iris have come in the past century and when you think of the fuss people made over the yellow iris ‘W R Dykes’ when it was introduced it is remarkable that we have such supersaturated yellows and oranges today. But we do and one of the nicest is ‘Amplified’. 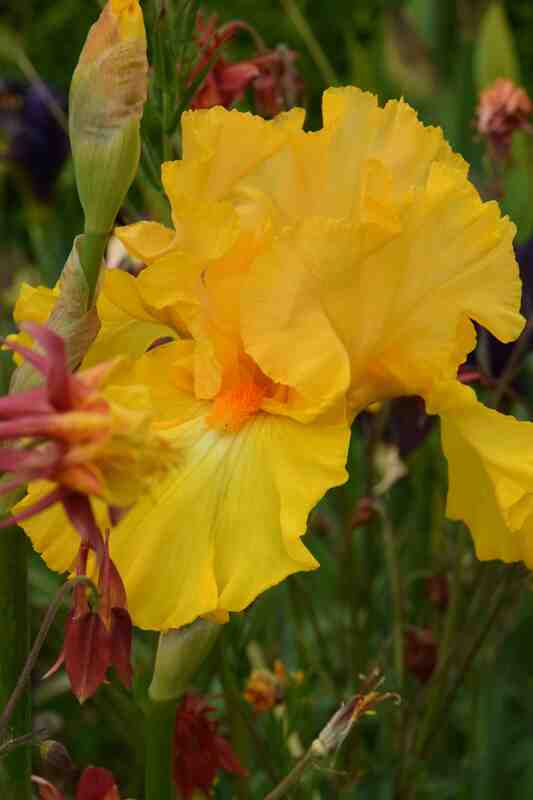 This American iris from Joseph Ghio was introduced in 1999 and has his characteristic modern form and ruffling. 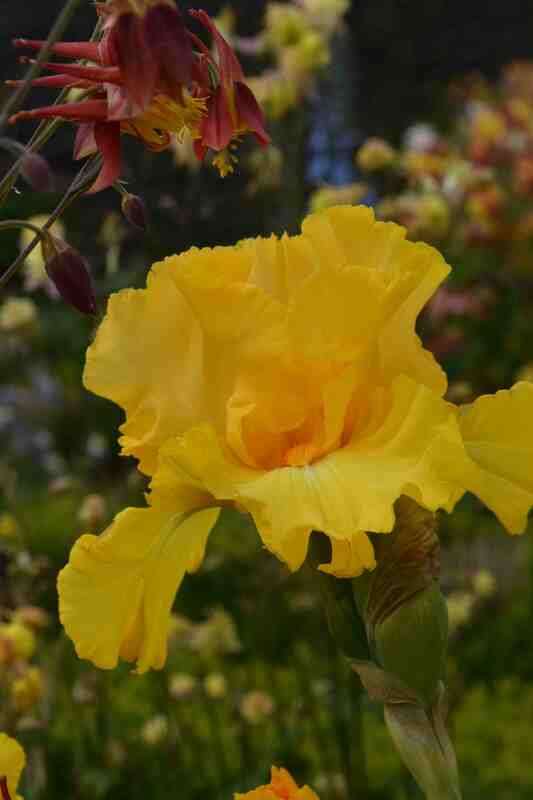 It seems to do almost as well in Ireland as in its native California and has put on a real show this year. I am specially happy that the aquilegias around it turned out the right colour and are red and yellow – success at last!